It's Easter Day, so here's a bit of Christmas lore, also a bit of a surprise concerning the Holy. I have decided to return to a bit of translating in the New Testament. I don't know if I still have time to research Hebrew translations of the NT, but there's nothing like starting. If one doesn't start, one can hardly finish. The first thing I note with chapter 1 is that 'holy spirit' appears out of nowhere. Everybody talks about Jesus and Christ and so on as if they know everything about him. But where did the expression the holy spirit come from. "a reference to God's creative and enduring presence (Gen 1.2, 2.7, 8.1; Ex 13.21-22; Josh 2.16; Ps 51.11; and a Talmudic tractate Hagigah (Festal Offering)." Interesting, if I were looking for the spirit of God in Tanakh, I would have looked for that pair of words in that sequence, but here we find cited more generic references to Yahweh God (2.7) or God - wind (8.1), the pillar of cloud (Ex 13). The reference to Josh 2:16 is baffling. Well there's a question. רוח הקדשׁ never occurs in the Hebrew Bible. The only occurrence is ורוח קדשׁך and your holy spirit ... And treating holy as an adjective, the phrase should be הרוח הקדשׁ. So how to approach this conundrum. I suppose I could just accept tradition. But this would be a cop out. What I notice about the use of קדשׁ in the Hebrew is that it is often the adjective holy, and it never appears in Hebrew with a definite article, but it is in some phrases interpreted as a divine name, the Holy or the Holy One. The definite article in English is understood because the next word in the Hebrew is an implied definite such as in קדשׁ קדשׁים the Holy of Holies or קדשׁ ישראל the Holy One of Israel. So this birth in the NT is from the sanctuary, the inner sanctum of Yahweh himself. Note that this usage of קדשׁ is most prominent in Isaiah, occurring 31 times in the prophet, 25 times in other books. Here's my rendition of the rest of Matthew 1 based on a Hebrew translation of the Greek but guided by tradition. No music reconstructed for this yet. 18 And the birth of Jeshua, the anointed, was thus. As Miriam his mother was betrothed to Joseph, ere he came to her, but it was found that she was pregnant, for from the spirit of the Holy she was pregnant. and he promised to send her away in secret. Joseph, son of David, you will not fear to take to you Miriam your wife, for the one that is born within her was fashioned from the spirit of the Holy. for he himself will save his people from their sins. that is to say, God is with us. and he received his wife. and he called his name Jeshua. The sequence of Psalms from the enigmatic oracle of 110 to the shortest psalm 117 surely would inspire some poet somewhere to construct a hymn. Or some musician somewhere to compose a melody. Any takers? - A successful poem or composition based on these ideas might make it into the oratorio I am designing. I have spread these as a counterpoint to the human in the creation. Notice how 111-113 and 115, 116 do not begin on the default tonic. This shows the continuity of these psalms into two groups 110-113, 114-116, 117 as a premonition of 150, but there is a long history between 117 and 150.
till I set your enemies as your footstool. Before the council of the upright, and assembly. 1f Hallelu Yah. A happy person fears Yahweh. By his commandments he has much delight. 1f Hallelu Yah. Praise servants of Yahweh. over your kindness, over your truth. 1 Praise Yahweh, all nations. Commend him, all the clans. A 16 week publication schedule... The fourth volume to be published, Volume 3 The Major Prophets is now available. Volume 6 The Five Scrolls was my starting point for obvious reasons. Get the keys before you try to open the doors of a large room. I am in the midst of designing an oratorio around the music related to creation. Not such an easy task to find a strong parallel structure - one that will complement the already magnificent musical structure of Genesis 1. One thing I have tried to do in my work is make the data clear for any claims I make about language patterns. If I am wrong, you will be able to see why. If I say certain words are used for certain things, then I support it with the raw data. You don't have to take my word for it. And you can critique my reasoning. I read here (a free chapter from the publisher) that the 'one' word for light אור is dominant in prose and more varied in poetry. I hadn't noticed this. I wondered why. There is a problem for me - I don't clearly distinguish prose from poetry except with regard to the 3 books (Psalms, Proverbs, and Job) and the 21. But if the claim were true, I would expect that the difference would show up by examining the distribution of stems in this domain between the 3 and the 21. So first - here are all the stems that occur in my domain of light. And I note one additional, debatable, brilliant, זהר, normally related to teaching rather than light. Its occurrences are in Daniel, so irrelevant to this distinction between Hebrew poetry and prose. You can observe from this that אור is indeed dominant. It is not the only word to suggest the impact of light. There are a very large number of others to consider. Opposite of light (I usually put opposites in the same domain for efficiency). Now let's look at the distribution of these last words between the books of poetry and prose. And here is a summary by stem. There is no significant difference that I can find with the possible exception of יפה (shine) where a word in the domain of light is slightly more prominently used in poetry over prose. Also if I include Isaiah and 2 Samuel 22 in the poetry, נגה could be added (which I have glossed from the Latin lumen). I agree with Alter in so many ways, (syntax, recurring words, play, rhythm, concreteness, compactness, foreignness) but there are significant differences in our approach to translation: my music is literally music. I do not use the word as a metaphor. I work from a database using pattern recognition. I am quite happy with Latin words commonly used in English. I work from the standpoint of faithfulness within a religious tradition that I have plenty of reason to reject. I do not work from the point of view of literature though I seek to see and hear beauty. Unfortunately with this claim on page 5 of the preview noted above, Alter does not reveal enough information to clarify his claim, admittedly a minor claim used as a springboard for his larger criticism, a criticism with which I have considerable agreement. 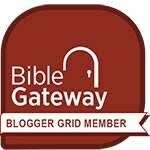 For how many years has the KJV been revised? If a translation catches on, it must have the basis in the raw data from which it can be critiqued and revised. And behold, there are almost 100 mentions of science going back to 2010 including this gem - what was I thinking! I hope to address the whole nine yards of the science of God at some point: Unity, relationship to humanity, reward and punishment, Anointing and the world to come, time and science, election and the scandal of particularity, predestination, providence, and miracles, and who knows what else. This is my death-wish I suppose. For I like anyone else, cannot see God's face and live (Exodus 33:20). Whatever... I have died already in the Anointed. I will start and end there. 100 mentions may be worth a book... There can be no conflict between science and steadfastness (or faith by another name). Those who refuse science refuse God. Not that science is God but that God is not the author of confusion, superstition, or nonsense. Fearful humans author these things to their own detriment and that of others. Some people might think my translations are 'literal'. No. They are not. They are ruled by a sense that the language is close enough to itself that it should be interpreted as pattern recognition. That is a subject I spent my life with as a programmer. (Apart from the music,) that is what I have done to the Hebrew Scripture, recognized the verbal patterns and read accordingly. It may be impossible to do this with a committee or a multiple person translation. Divergence is almost inevitable without algorithmic pattern recognition. I have been proofing the prophets and I found a mislabeled score. Also I noted some unique words that really surprised me but they withstood my scrutiny. I will sing, if you will, for my beloved, a song of my beloved for his vineyard. A vineyard there is for my beloved against an intensely bright destiny of density. קרן followed by בן followed by שׁמן is unique as are the two sub-sequences of each pair of these stems. Everyone seems to render it as 'on a fruitful hill'. I have no idea why. Literally it is 'a horn of the son of oil'. Or 'an intensely bright child of an octave'. (Just kidding). These words are frequent, but the combination is unique. What will one do with it? The Hebrew is also alliterative. beqeren ben-shemen. Listen to Yahweh's determined hope for his people. (I didn't even mention this in my original posting on Isaiah 5.) But I did have a lot of other points to make. Spencer Robinson at Spoiled Milks has produced the Biblical Studies March carnival #157. A very bright set of links for April Fool's day. Tim raised for me in a comment the need for footnotes at least with the issue of textual criticism in mind. I found this paper by Ronald Hendel. It is quite an intro to Textual criticism. There are several examples in Genesis 1 that would change the music significantly, adding whole phrases (verse 9) and moving certain repeated refrains (like and it was so) to different locations. It is hard to imagine a quick summary and would take a longer post than I have time for at the moment. If I had undertaken this kind of study (and with a teacher and with more direct access to manuscripts and the Qumran texts), my current work would probably never have been completed. The degree of footnoting required for such a 'translation' would be overwhelming to both reader and writer. (Even JB does not mention some of the variants.) But fascinating it is indeed and I highly recommend the article.